Our NEW line of great-tasting antibiotic-free, no sugar breakfast sausage and smoked meats is Certified Gluten-Free and perfect for a paleo lifestyle. Jones is a six-generation, family owned company that stands behind each and every one of our products. Free of hormones. Free of sugar. Full of flavor. Our new antibiotic-free line delivers all you want, nothing you don’t. 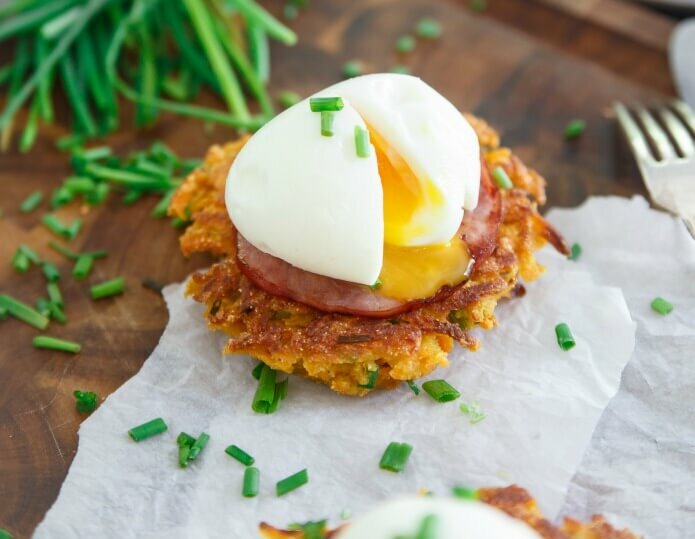 ​Cook up a delicious gluten-free breakfast. With these crispy sweet potato fritters, no one will miss the bun. Topped with Jones Canadian Bacon and a soft boiled egg, your whole family will love this creative breakfast recipe. Subtly sweet and perfectly smoky, you’ve never tasted bacon like this before. 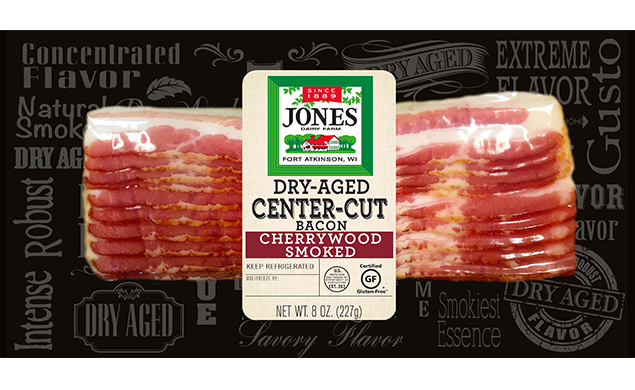 ​We dry age our Cherrywood Smoked Gluten-Free Bacon, unlike anyone else. The process takes extra time, but it creates an unbeatable flavor we know you’ll love. TODAY'S TMJ4’s Tiffany Ogle and Chef Kate Luloff make Jones Dairy Farm’s Avocado Toast with Crispy Ham Strips featuring Jones Dairy Farm ​​Ham. Crispy ham, crunchy bread and creamy avocado blend perfectly in this easy-to-make breakfast favorite that also happens to be healthy, protein-packed and delicious.